Councillor W Norton has indicated her intention to move the Notice of Motion below. It is logical to consider both on-street and off-street parking at the same time..
THAT Council undertake a review of the parking provisions within the WDCP. In the first instance, the issue should be discussed in a workshop or at a committee meeting where current information regarding car ownership can be provided and decisions made about further information needed prior to council either affirming or modifying the current policy. Council Officers have recently provided a report on street parking provisions within the city. This will be considered early in 2014. However, street parking is significantly influenced by the amount of off street parking provided in new developments. Current policy attempts to dissuade residents from car ownership by limiting parking in new residential developments (“demand parking”). Resident cars in excess of the parking spaces within these developments are parked on our streets. There is limited parking available on the City’s streets. It is suggested by many that the current policy is exacerbating our street parking problems rather than ameliorating them. The current policy has been in place for many years and it is time for it to be re-examined. This matter was raised at the Councillors Strategic Planning Workshop. The Councillors’ priorities included to ensure there is adequate provision for private car parking in new developments including a review of car parking ratios. 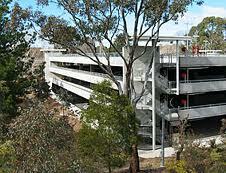 The Parking Strategy has been deferred till early 2014 and whilst that Strategy primarily deals with on street public car parking, rather than private on-site parking, a workshop to discuss the matter raised in the Notice of Motion would provide direction for staff as to the issues that can be covered in the review. It was envisaged that this matter would be reported to Council in mid-2014, depending on other project commitments.